Juventus midfielder Claudio Marchisio has completed a move to Zenit St Petersburg in Russia on a free transfer today, ending his long spell in Turin. The 32-year-old was a product of the youth system at Juventus having been snapped up to play for the club at junior level back in 1993, eventually breaking through to the senior squad 11 years later. The Italian star has racked up 389 appearances in total for the Old Lady over the last 13 years and managed to win seven Serie A titles during his time with the first team. 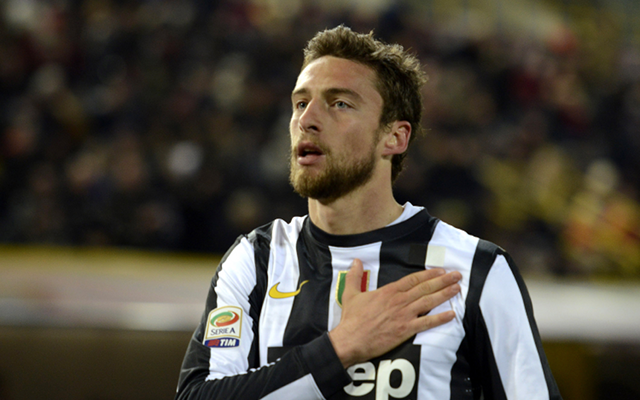 It is rare to see such loyalty in modern football as money rules the decisions that top players tend to make nowadays in regards to their professional futures, but Marchisio has always been a faithful servant, even when faced with adversity. Over the last few years, injuries have restricted his playing time and with Emre Can arriving in the summer to further bolster manager Massimiliano Allegri’s options in the middle of the park, the veteran midfielder has finally decided to call it a day on his journey with the perennial Italian champions. According to Sky Sports, Marchisio has signed a deal with Russian Premier League outfit Zenit St Petersburg on Monday, which brings to an end his 25-year association with the Old Lady. The prestige of a great club. The same desire to win! The arrival of such an experienced and reliable player should help Zenit’s chances of winning their first league title since 2015, but Juventus supporters and staff will no doubt be saddened to lose such a revered and well-regarded member of the squad after watching him grow as a player over the last two decades.